This is the only instance I have ever seen where the foundry name inscribed on a coal chute cover appears to be misspelled. The company was Gaynor & Rosenblum, but in the inscription BLUM is covered by BAUN. This would seem to indicate that the junior partner, Rosenblum, was replaced by a Rosenbaun, but I found no evidence that this occurred. The company name Gaynor & Rosenblum seems to have been used throughout their history, which ran from 1911 through 1935. They began in 1911 at 387 South 1st St., Brooklyn, moved to 132 Ten Eyck St. in 1913, then later to 340 Stagg St. from 1922 to 1935. These addresses are all near to each other in the Bushwick area of Brooklyn. The partners were David Gaynor (1878-1962) and Joseph Rosenblum (1881 or 1883?-?). Both were immigrants from Russia, arriving in the U. S. in the early 1900s. David Gaynor's naturalization petition dated 18 March 1910 stated that he was born 8 August 1878 in Odessa, Russia, and that he emigrated to the U. S. via Hamburg 20 June 1904. He appeared in the 1910 U. S. Census living at 592 Fulton Ave., the Bronx, when he was 31 years old. Five years later, in the New York State Census of 1915, he lived at 389 South 2nd St., Brooklyn. He stated that he had been in the U. S. 12 years, and his household consisted of his wife, Annie, also an immigrant from Russia, and two young sons, Moses, age 6, and Simon, age 4. In 1918 David Gaynor registered for the World War I draft, when he gave his birth date as 20 August 1878. He was a self-employed iron worker at Gaynor & Rosenblum, 132-6 Ten Eyck St., Brooklyn. In 1942 he also registered for the World War II draft, age, 63, born 20 August 1878, Odessa, Russia. In 1942 he said that he was retired and that he lived at 1818 East 9th St., Brooklyn. Joseph Rosenblum was recorded in the 1910 U. S. Census when he was 26 years old and lived with his father, David Rosenblum, a grocery salesman, at 306 Montauk Ave., Brooklyn. Joseph Rosenblum gave his occupation as "Finisher, Iron Works." He was newly married. His wife's name was Dora, and the couple had no children. He registered for the World War I draft in 1918 when he lived at 284 Montauk Ave., Brooklyn. He was 37 years old, born Russia, 18 April 1881. 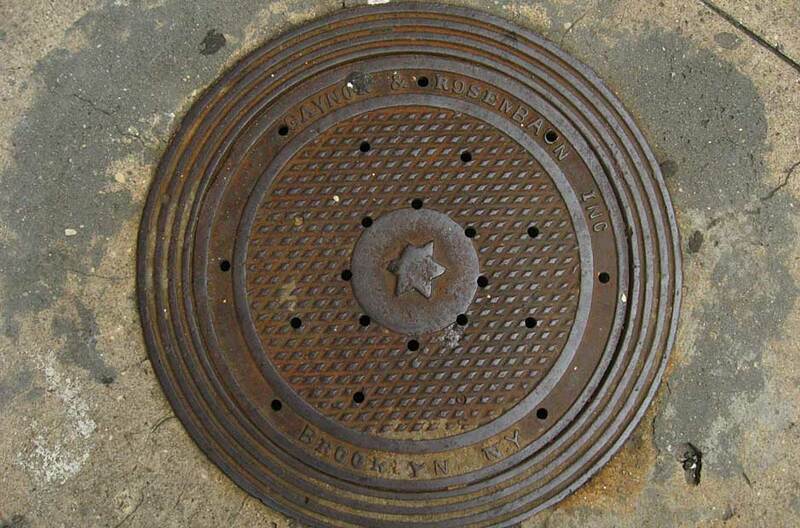 He gave his occupation as "Iron Contractor, Gaynor & Rosenblum, 132 Ten Eyck St., Brooklyn, Kings, NY." He also registered for the World War II draft in 1942, when he was 59 years old, born 20 April 1883, Roseny, Russia. He listed his employer as Niblum Building Co., 451 Albany Ave., Brooklyn. The American Contractor, 12 Jan. 1918, p. 36, listed Gaynor & Rosenblum as steel contractors on apartments to be constructed on Himrod St. west of Wyckoff Ave., Brooklyn.